Welcome to your complete guide to the Schnoodle dog breed! The “Schnoodle Doodle” (a common term for the Poodle mix) is a Schnauzer Poodle mix— one of the Poodle mixes that people seek for its low-shedding coat and teddy bear qualities. This hybrid comes in many sizes, as a Schnoodle is achieved by breeding a Toy, Miniature, or Standard Poodle with a Miniature, Standard, or Giant Schnauzer! In this guide, we’ll address the expected physical and behavioral characteristics of different combinations of Schnoodles. We’ll also discuss potential health problems, tips on grooming, exercise, and more. Though its name may sound funny, the Schnoodle dog is aptly named. This hybrid is a cross between a purebred Miniature, Toy, or Standard Poodle and a purebred Miniature, Standard, or Giant Schnauzer. The cross was first developed in the 1980s. The goal was to achieve the perfect dog for people who suffer from allergies to dog dander, as well as those who prefer not to have dog hair coating their clothing and home. Unlike other Doodles, Schnoodles aren’t sought for a “fleece” or Poodle-like coat. In fact, the teddy bear Schnoodle, or one with a soft and fluffy but not necessarily curled coat (an equal mix of the Schnauzer and Poodle’s coats), is highly sought after. Achieving the teddy bear coat requires careful breeding, though, especially when the cross is also desired for one breed’s coat and the other breed’s temperament. When you cross a purebred Poodle with a purebred dog which does not have a curled coat, such as the Schnauzer, the offspring (F1 generation) may or may not have a curly coat. For the Schnoodle cross, an F1 puppy’s temperament may either reflect the Schnauzer’s or the Poodle’s temperament. With a first-generation cross like this, it’s hard to predict exactly how the puppies will turn out. Crossing an F1 Schnoodle with a Poodle produces offspring known as the F1b generation. They are more likely to have a Poodle-like coat and may exhibit more Poodle-like tendencies. Crossing two F1 Schnoodles produces offspring known as the F2 generation. These typically produce a happy mix of both Schnauzers and Poodles, as far as looks and coat types. Finally, crossing an F1 Schnoodle with an F1b Schnoodle produces offspring known as the F2b generation. These are basically 2/3 Poodle and 1/3 Schnauzer. They are equally likely to have the Poodle’s curly coat or the Schnauzer’s loose and wavy coat. Depending on the generation of the cross, a Schnauzer cross Poodle may behave more like a Schnauzer or more like a Poodle. Regardless of their generation, every Schnoodle will also have their own individual quirks and mannerisms. Selecting a specific generation of Schnoodle cross may help you get a puppy with breed-specific looks and tendencies. At the end of the day, though, you cannot predict every trait with 100% accuracy. To get a general understanding of a Schnauzer and Poodle mix’s temperament, let’s talk about the expected temperaments of Schnauzers and Poodles. Schnauzers of all sizes are excellent with children and people in general. They are extremely active dogs who are outgoing and love to run and play. The American Kennel Club (AKC) recommends that you supervise play time between Giant Schnauzers and children or other dogs to ensure that the play doesn’t become too rough. Although Schnauzers are known to be loyal dogs, you generally don’t have to worry about a Schnauzer being aggressive with people. However, it’s always best to socialize Schnauzer puppies with people and other animals as a part of their overall training. Miniature Schnauzers can be a little noisy, thanks to their alert personalities. Some Poodles may not be as outgoing as Schnauzers, but contrary to popular belief, they aren’t all shy and prone to biting. There is a stereotype which suggests that Miniature and Toy Poodles are especially prone to biting, but realistically, any Poodle could display this tendency. Because of their sometimes shy personalities, it’s important that you familiarize a Poodle with new faces and smells well before adulthood. This will help prevent their instinct to guard you or to nip at strange hands. Like Schnauzers, all classes of Poodles are very active dogs who love stimulating activities that keep their bodies and brains moving. They do not take kindly to being bored. Poodles also do not like being left out of activities with you or being crated for long periods. They are intelligent, working dogs who want to have something to do or play with, which is why many of them are amazing in the show pen! How big do Schnoodles get? Due to the wide range of sizes in a Schnoodle’s parent breeds, a Schnoodle (full grown) may be small, medium, or large in size. To get an idea of the size range that an adult Schnoodle may fall into, we’ve broken down the average wither height and body weight that the AKC accepts for each type of Schnauzer and Poodle below. A Toy Schnoodle (a Toy Poodle crossed with a Miniature Schnauzer) may reach 10-14 inches tall and 4-10 pounds. A Miniature Schnoodle (a Miniature Schnauzer crossed with a Miniature Poodle) might reach 14 or 15 inches tall and 10-20 pounds. A Standard Schnoodle (a Standard Poodle crossed with a Standard Schnauzer) could reach 15-19.5 inches tall and 35-60 pounds. A Giant Schnauzer Poodle mix (a Standard Poodle crossed with a Giant Schnauzer) 15-27.5 inches tall and 40-85 pounds. There may be more unpredictability in size if, say, you cross an F1 mini Schnoodle with an F2 or later Giant Schnoodle. Schnoodles are often advertised as non-shedding (hypoallergenic), but is this true? Is a Schnoodle hypoallergenic? No dog is truly hypoallergenic – all dogs shed, even if in very small amounts. However, we can confidently say that a Schnoodle will be a low-shedder – both Poodles and Schnauzers shed minimally. A Schnoodle may inherit its Schnauzer parent’s wiry, hard, and medium-length double-coat, or its Poodle parent’s long and thick curly or wavy coat, or it may have a wavy coat that falls somewhere in between. The type of coat that a Schnoodle has depends on the puppy’s generation and how much Poodle or Schnauzer influence is in their breeding. Furthermore, a Schnoodle may or may not have the Schnauzer’s characteristic mustache. Regardless of a Schnoodle’s breeding, his coat will require some maintenance. Schnoodles with a Schnauzer’s coat will require a weekly brushing to keep the coat smooth. If your mix has a Poodle’s curls, which are kept longer, she will require daily combing, as well as a trip to the groomer once per month to prevent matting. Schnoodles with the “teddy bear” coat may need more or less of the grooming that we described above. With that being said, Schnoodle haircuts don’t have to be super short. Keeping curls or waves in check, though, will help to prevent severe matting or tangling. Schnoodles are usually solid-colored and sometimes have a mask, markings, or points in black or white. With the Poodle’s ten acceptable coat colors and the Schnauzer’s three acceptable coat colors, there are many possibilities for Schnoodle coat colors. Even more colors are possible when the parent stock have non-standard coat colors – parti-colored Schnoodles may be possible in these cases. Schnoodle coat coloring may be easier to predict as later generations are bred with similar generations and back with Poodles (hence the development of the popular apricot Schnoodle). Like any dog, Schnoodles may be predisposed to health conditions due to their genetic makeup and/or age. Genetically speaking, Schnoodles are prone to hip and elbow dysplasia, progressive retinal atrophy, cataracts, patellar luxation, epilepsy, and several heart and liver disorders. To learn more about the diseases and health conditions which may affect Schnauzers, refer to our article on Miniature Schnauzers. To learn more about the diseases and health conditions which may affect Poodles, refer to our articles on Standard Poodles and Toy Poodles. Furthermore, both Schnauzers and Poodles can become overweight easily, so a healthy diet and plenty of exercise will be required to keep the dog fit and the joints fluid! If you do not have the space or time for a high-energy dog, then a Schnoodle is not for you. These dogs need a job to do or plenty of space to run and play, in order to be happy and to stay out of trouble. Schnoodles may also play on the rough side – you’ll want to be sure that she knows what “down” or “off” means. As neither Schnauzers nor Poodles appreciate being bored, a Schnoodle may be likely to develop bad habits if you do not give her adequate attention. You’ll also benefit from a fenced-in yard, as a Schnoodle may be tempted to chase after the wild life that she encounters! And again, these dogs require socialization with other dogs, children, and adults to prevent possible territorial behavior. The life expectancy of a Schnoodle depends on the size of the parent stock, as smaller dogs tend to live longer than larger dogs. A Toy or Mini Schnauzer Poodle mix may live from 10 to 18 years old, a Standard Schnoodle may reach 10-16 years old, and a Giant Schnoodle could live to be 10-15 years old. Before you purchase a Schnauzer Poodle puppy, you’ll need to carefully research Schnoodle breeders so that you choose responsibly. Responsible breeders use genetic testing to prevent the passage of undesired traits, and they keep their breeding stock at a good weight and in clean conditions. If a breeder is reluctant to show you all around their facility, stay away – they may be keeping their stock in deplorable conditions. What is the going rate for Schnauzer Poodle mix puppies? Schnoodle puppy prices vary based on the puppy’s generation, their coat characteristics, how many puppies are available, and how valuable the parents are to the breeder. Size may matter – you may pay more for Miniature Schnoodle puppies, as they are in high demand for people who want a teddy bear Doodle in a small package. For later generations of Schnoodles, you can probably expect the above prices to be on the low side, as more work has been done to achieve the “perfect” dog. 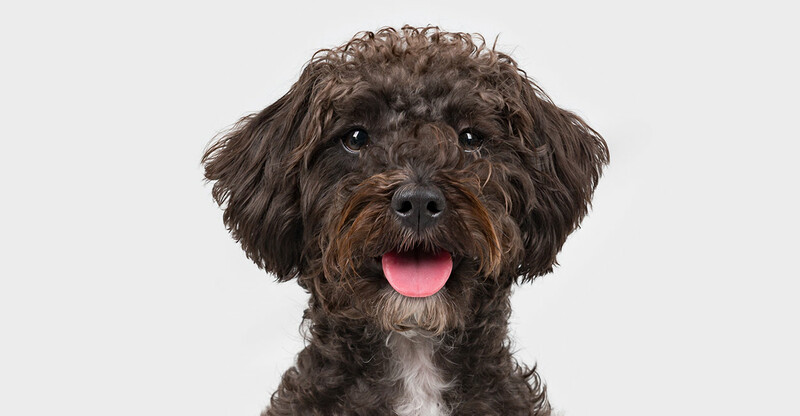 If you cannot afford a Schnoodle from a breeder, or if you’re more interested in an adult dog, then you could adopt or rescue a Schnoodle from a shelter or breed-specific rescue. Typically, retired breeding or show dogs end up being placed for adoption, but occasionally, you’ll find a Schnoodle puppies rescue. Rescuing is a great way to give a loving home to a needy dog, but you’ll need to have a rescued pet fully vetted if their health history is questionable or unknown. Hybrid or “designer” dogs like Schnoodles are sometimes frowned upon for being “inbred” or for having lots of medical issues. In reality, healthy hybrids are achieved by crossing a well-bred purebred dog of one breed with another well-bred purebred dog of another breed. Then, the resulting F1 offspring is bred with unrelated dogs (of the same breed combination or of the same breed as one of the parents). The resulting F2 generation may then be crossed with other dogs of the same generation or with an earlier generation (from separate litters) to continue passing good genes down the line. Notice that the above does not involve creating hybrids from one family of dogs! Furthermore, this article explains how deliberately crossing specific breeds and separate litters can actually increase the health of the resulting offspring. Regarding hybrid dogs and medical issues, both purebreds and mutts are equally prone to ill health. For any dog breed, purebred or hybrid, the health of a litter of puppies relies hugely on the health of the breeding stock and the conditions in which all are kept. A purebred litter can have just as many health problems as a hybrid litter if the breeder has continued to cross dogs with known health issues. We talk more about the myths about hybrids in our article on Purebred vs. Mutts. You may think that you want a Miniature Schnauzer Poodle or a Giant Schnoodle, but would one be happy in your home? Most Schnoodles are high-energy dogs. They are full of vigor and thrive on play time and interacting with you. You won’t be able to leave one alone for long, as they will become bored or depressed without you around! Keeping a Schnoodle will also require lots of brushing and maybe regular trips to the groomer. You won’t be required to deal with much shedding. There are some health issues to contend with. You’ll need to be aware of those and know how to best maintain a Schnoodle. Finally, since Schnoodles are loyal to their owners, we recommend socializing them as well as some training. This will help keep their manners in check. If this all sounds fine to you, then a Schnoodle may be your new best friend! Hi I am looking for a reputable schnoodle for a standard size. One that’s done genetic testing to work out health issues. Anywhere in the United States. Looking for Miniature Schnoodle breaders in the central U.S. 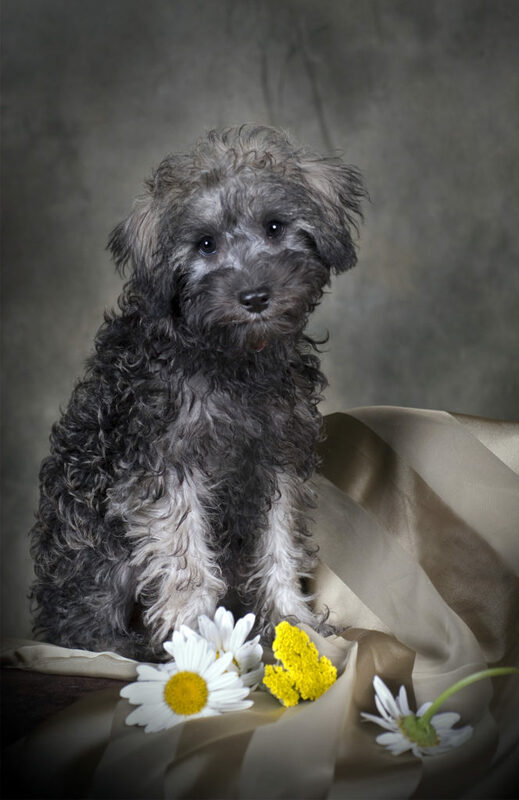 Looking for reputable schnoodle breeders in Minnesota, Wisconsin, or Iowa…. Looking for rescue schnoodles in tennessee. ..
Jeanne, I adopted a 10 yr old Schnoodle from our local Humane Society here in Tenn. 2 months ago. I would suggest, if you have not already, check out the Facebook page of local rescues. These seem to be popular dogs and go fast. He is a real doll!